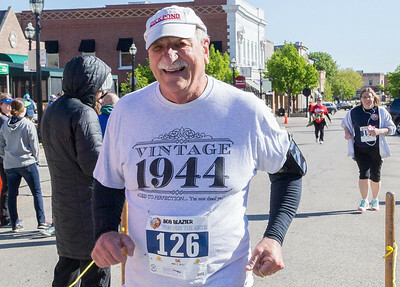 Ken Koontz – For Shaw Media Participants at the start the Bob Blazier Run for the Arts 5K Run and Walk, Sunday, May 7 in Crystal Lake.The event is celebrated its 20th year. 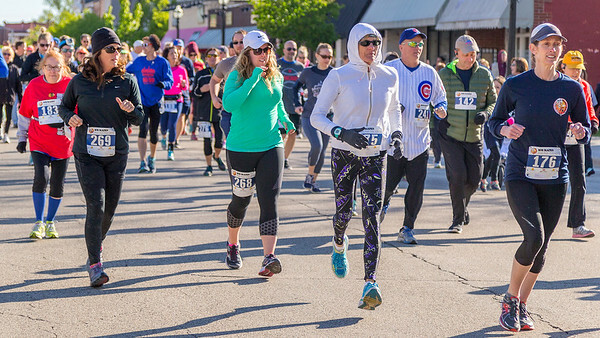 Ken Koontz – For Shaw Media Runners start the 20th annual Bob Blazier Run for the Arts 5K Run/Walk, Sunday, May 7, 2017 in Crystal Lake. 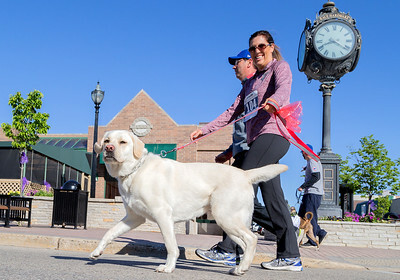 Ken Koontz – For Shaw Media Tracey Annen enjoys a walk with her dog at the 20th annual Bob Blazier Run for the Arts 5K Run/Walk, Sunday, May 7, 2017 in Crystal Lake. 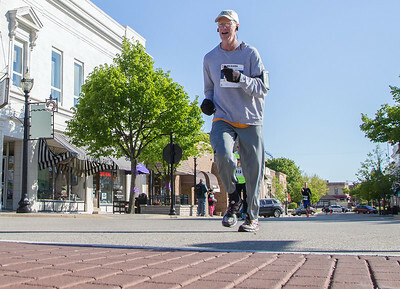 Ken Koontz – For Shaw Media William Hennessy of Algonquin runs Sunday, May 7 in Bob Blazier Run for the Arts 5K Run and Walk in Crystal Lake. Hennessy had a first place finish with a time of 17:15. 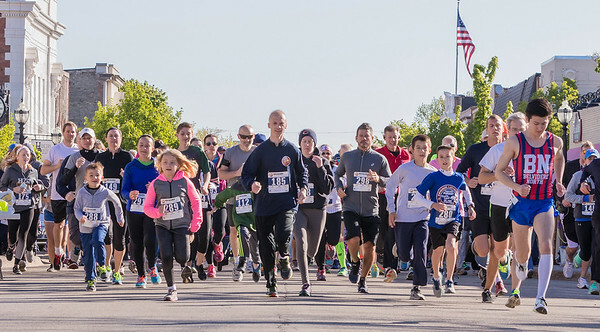 Ken Koontz – For Shaw Media Mark Oefelein of Huntley nears the finish line of the 20th annual Bob Blazier Run for the Arts 5K Run and Walk on Sunday May 7 in Crystal Lake. Oefelein finished in second place in his age group. 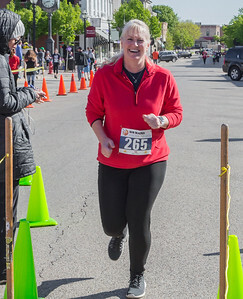 Ken Koontz – For Shaw Media Linda Dunal of Crystal Lake completes the 20th annual Bob Blazier Run for the Arts 5K Run/Walk, Sunday, May 7, 2017 in Crystal Lake. 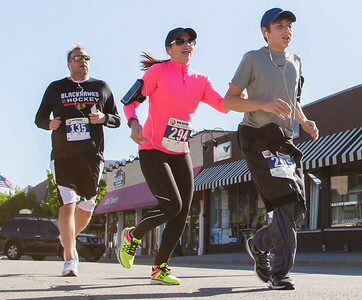 Ken Koontz – For Shaw Media Runners Murray Crabtree (from left) Tania Suarez and Raef Suarez cross the finish line in the 20th annual Bob Blazier Run for the Arts 5K Run and Walk on May 7 in Crystal Lake. 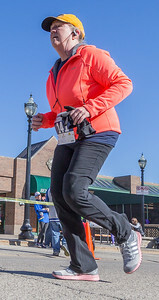 Ken Koontz – For Shaw Media Melissa McConnell comes to the finish line during the 20th annual Bob Blazier Run for the Arts 5K Run and Walk on May 7 in Crystal Lake. 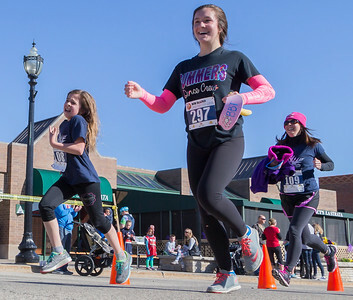 Ken Koontz – For Shaw Media Runners Chloe Atkinson, (from left) Madelyn Coles, and Jennifer Atkinson complete the 20th annual Bob Blazier Run for the Arts 5K Run and Walk on Sunday May 7 in Crystal Lake. 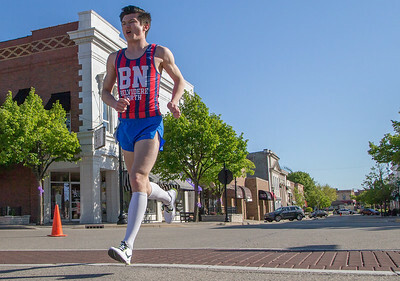 Ken Koontz – For Shaw Media Runner Donald Calgano crosses the finish line at the 20th annual Bob Blazier Run for the Arts 5K Run and Walk on May 7 in Crystal Lake. 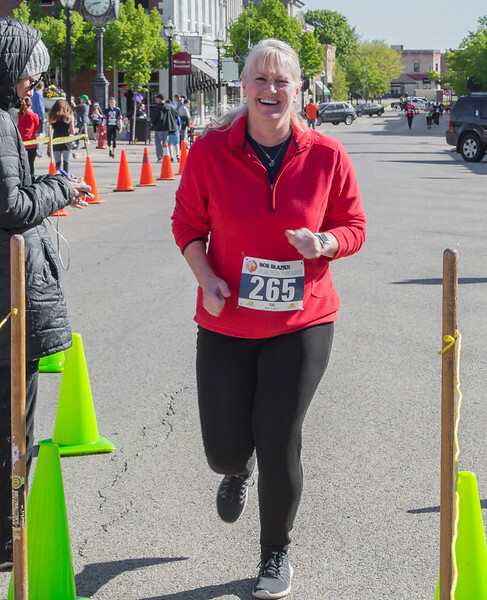 Melissa McConnell comes to the finish line during the 20th annual Bob Blazier Run for the Arts 5K Run and Walk on May 7 in Crystal Lake.